‘UNIQUE’ is a much over-used adjective these days, but it’s the right word to describe Go Holiday magazine. 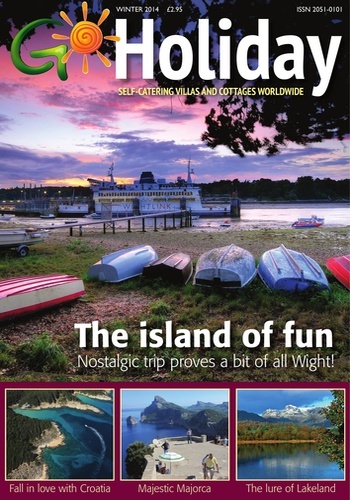 It’s the only travel and tourism magazine in Britain – and possibly around the planet – that’s focused exclusively on the growing self-catering sector worldwide … no hotels (except those that offer self-catering accommodation); no B&Bs; no cruises; and no adventure trekking holidays – but instead, everything from cottages in Cumbria and Cornwall to apartments and villas in Florida to the Med. 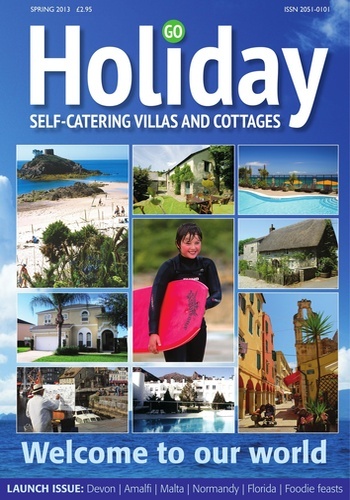 It features travel and tourism news, and expert location reports showcasing the best of holiday regions and vacation attractions throughout Britain – where the self-catering sector is conservatively estimated to account for 7.6% of all holiday visits and 12.9% of all tourism revenue – and globally. 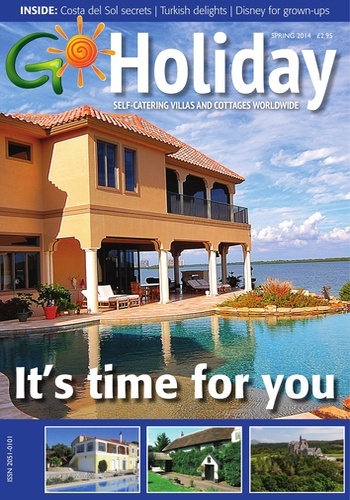 Readers can make holiday bookings directly with property owners or their specialist rental agents. 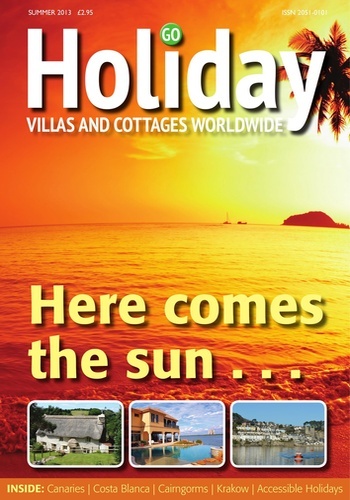 Properties – cottages, houses, apartments and villas – are advertised in Go Holiday by owners or letting agencies. E-mailing or ’phoning the owner direct to discuss your holiday needs, ask about availability, and inquire about transport links, means you'll be in contact with someone who knows the property and the locality well. The self-catering sector is expanding, and it’s not difficult to see why; the advantages of a cottage or villa break have rarely been more obvious and attractive. They are in many cases less expensive than hotel stays, so they save you money that can be spent on the treats that make a get-away even more enjoyable or, in these tougher economic times, just saved. And they offer the flexibility, freedom and privacy that hotels can’t provide – you eat when you want to, and many villas in Florida and southern Europe offer the luxury of your own private pool. Go Holiday is your passport to this holiday heaven!